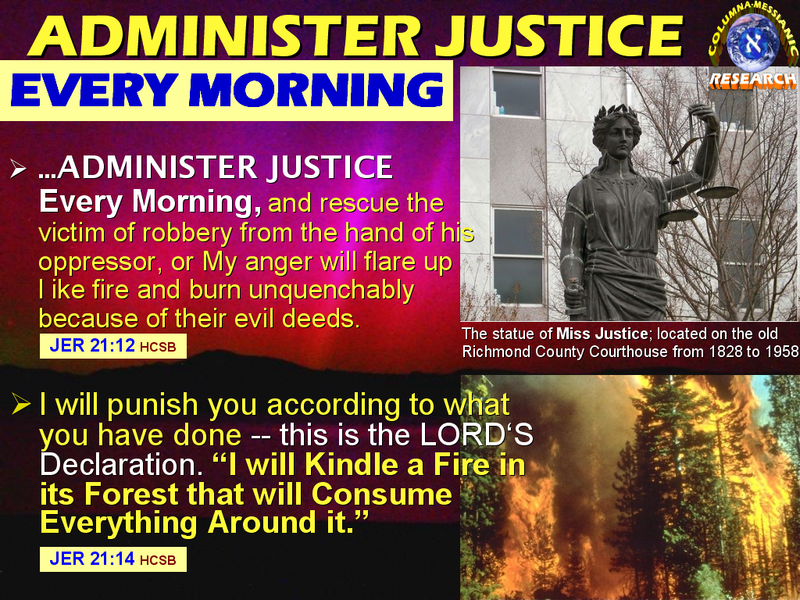 COLUMNA MESSIANIC RESEARCH CENTER: Climate Change Cause 2: LACK OF JUSTICE, DELAYED JUSTICE, INJUSTICE! Climate Change Cause 2: LACK OF JUSTICE, DELAYED JUSTICE, INJUSTICE! Today, generally speaking, it is well known that justice is in favor of the rich and powerful, perverting it to most bitter wrong. As justice is sweet, so injustice is bitter to the victims. "Wormwood" is from a Hebrew root, to "execrate," on account of its bitter qualities. So today, the world’s justice system is also corrupted by being one-sided leaning toward the rich, the powerful, and to those who can afford the service of "brilliant" lawyers. Today, generally speaking, it is well known that justice is in favor of the rich and powerful, perverting it to most bitter wrong. As justice is sweet, so injustice is bitter to the victims. "Wormwood" is from a Hebrew root, to "execrate," on account of its bitter qualities. So today, the world’s justice system is also corrupted by being one-sided leaning toward the rich, the powerful, and to those who can afford the service of brilliant lawyers. Oftentimes, in modern society, the justice system takes so long to have the final verdict. So the hearts and minds of the criminals are more encouraged to do evil. They are filled with criminal ideas, boldness, and courage, to commit crimes. They then become hardened criminals, victimizing more and more innocent people. Where justice is delayed, there sin dominates. But God saw all these sins that are abomination to Him. Then He strikes the earth using Climate Change to punish and destroy the wicked society that condones these sins of injustice.